This article presents a concept for locating, interviewing and retaining an attorney to advise and render services in real estate disputes confronting brokers. A broker is faced with a real estate dispute requiring an attorney’s legal expertise. The broker has never before sought out the advice of an attorney and is not at all sure how to go about selecting one. What steps should he take to select a qualified, competent attorney? What law office procedure should he look for when first meeting with an attorney? What can he expect to encounter when retaining an attorney? These questions are reviewed with suggestions and actions to be considered when seeking out and comparing the services of an attorney. To initiate the selection process, the broker should call several active real estate brokers in his locale and the locale of any litigation involved. They should be asked for the names of three or four real estate attorneys they are familiar with and would refer someone to for advice on real estate matters, especially of the type confronting the broker. The broker should inquire into the different areas of real estate law each attorney appears to be engaged in, the types of cases they handle and the competence demonstrated by the attorney as seen by the brokers he contacts. Also helpful is the likelihood one attorney’s name is consistently recommended by the brokers contacted. While attorney referral services and media advertising is helpful in the initial referral stage, it is difficult to obtain objective recommendations or criticism from these sources. It may even be necessary to locate an out-of-area attorney who specializes in the particular type of legal situation confronting the broker. In any case, two or more attorneys should be selected and a phone or office conference set up. Before (and after) selecting an attorney to represent the broker, it is both proper and prudent to contact yet another attorney and hold a telephone conference to “brainstorm.” This would provide a second opinion – and possibly an additional or alternative advisor. The cost of conferencing with another attorney should be considered the premium paid for assurance the broker is on the right track. the competency of the attorney’s law clerks or legal assistants to follow up on fact investigation, legal research and minor details. During the initial conference, the broker will discuss his situation as well as “interview” the attorney. This contact will determine whether or not the broker feels this attorney is “the right one” to retain. the estimated cost of handling the various stages of the case. At the same time, the attorney will be deciding whether or not he wants to represent the broker. whether the attorney has a conflict based on the attorney’s other cases and clients. The broker must understand he will normally be billed for this initial consultation on a per hour basis. Attorneys’ hourly rates generally range from $125-$300 per hour, depending on location and expertise. Any time spent counseling with the attorney will cost the broker money. 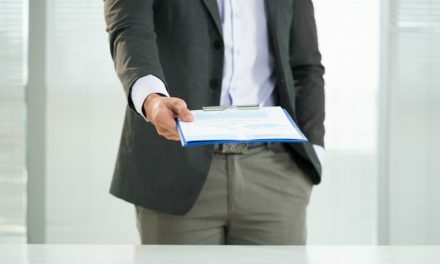 The broker must also determine whether the attorney will handle the case himself or delegate the analysis and decision-making process to a subordinate or partner. If delegated, to whom and how closely will the attorney supervise the handling of the case? The broker needs to literally interview any associate attorney who will work on or actually handle the case. Get them in on the conference. The broker must be mindful the attorney (or associate) he is going to employ must have the broker’s best interests in mind. A duplicate copy of the contingency fee agreement signed by the attorney and broker must be given to the broker. Deductibility of legal fees for tax reporting is determined by the activity causing the expense. If not deductible, the legal fees are either personal losses or a capital investment added to the cost basis of the property involved. Legal fees incurred for consultation on a broker’s business-related matter are fully deductible as an expense of earning brokerage fees, his trade or business. Legal fees incurred in the management, conservation or maintenance of income-producing real estate – rentals – or for the production or collection of rents are deductible from rental income, a passive income category activity, as an expense. Legal expenses incurred to preserve ownership or defend title to the owner’s personal residence are nondeductible personal expenses. When employing an attorney, always ask for his advice on the tax deductibility of his fees. The broker should ask for and review a typical or prototype billing statement used by the attorney. The statement should be itemized, describing each legal service provided by the attorney (or his staff), the date the service was performed, the time spent rendering the service and the fee charged or the cost of each item. if the attorney will review insurance policies (i.e., homeowner’s policies, business insurance, errors and omissions insurance) to determine if legal fees are covered. If the dispute is covered by insurance, the carrier may reserve its right to choose your attorney. In some circumstances, however, the broker is allowed to select his own attorney in addition to the attorney selected by the insurance carrier.